What’s going on everybody?! Welcome to another installment of #ToolTuesday where we examine one section or riff, break it down, and discuss all the fun things about it. The full transcription can be found on my Instagram. This week’s track; Disposition. This idea we are going to discuss it the opening riff of the song and sets the mood for the entire track. 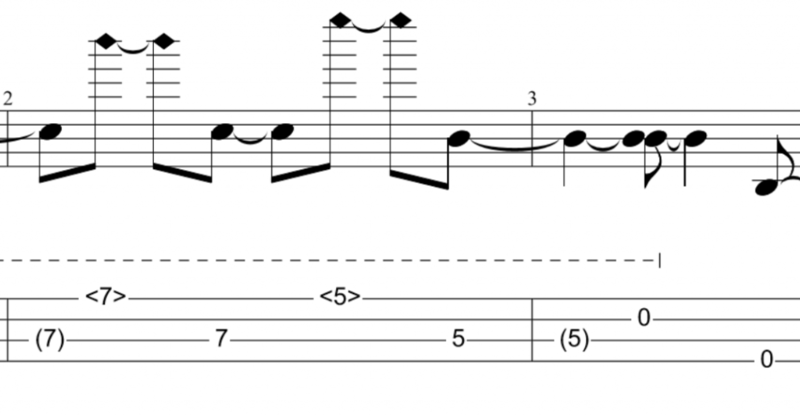 There’s nothing out of the ordinary in terms of time signatures or complicated rhythms. 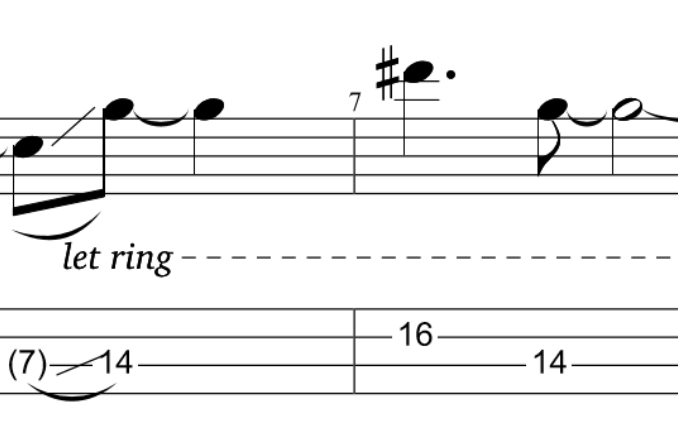 It’s melodic, (relatively) simple, and completely fills the harmonic background. 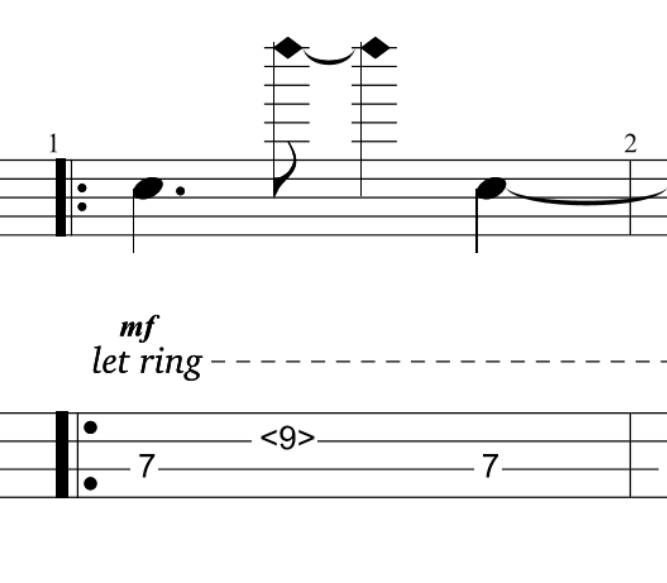 The one thing that stands out about this line is the use of Harmonics. Most of them are easily available and ring loud and clear, though there is one harmonic that can prove difficult to make shine. The first harmonic we come across is on the 9th frets, which unlike harmonics found on the 5th and 7th frets, is not a Natural Harmonic. I find the if you fret the note slightly ahead of the 9th fret and pick closer to the bridge, it can really stand out. There are two moments where we can setup our left hands for success. The first being in the second measure where we have two harmonics on the G string, 7th then 5th fret. Prior to the 5th fret N.H. we should attempt to place our ring finger on A string which frees our first finger to reach back and grab that harmonic at fifth position. It also setups up our left hand to grab the 5th fret on the A string and let those open D notes ring unimpeded. Lastly, one thing about possible phrasing. Approaching the final measure, we have a slide up to 14th position. I like to not attack the note on the 14th fret but to just slide into it. But in the end, always play how you make it sound the best! I discuss both of these points of contention in my video lesson found over on my YouTube channel. Well, that wraps up this #ToolTuesday, I hope you’re as excited as I am to delve into some bass lines. The full TABs can be found on my Instagram. Tag a friend and/or post your performances and requests. As always, let me know what you come up with and I’ll see you next time!